"The average sale price of a home — low-rise houses and condos combined — was up 7.3 per cent in October, year over year, to $630,876. That’s up from $587,945 last October. But the MLS Home Price Index Composite Benchmark price — considered by TREB to be a more accurate reflection of price growth because it factors out sales at the extremes — was up 10.3 per cent, year over year. Condo sales more than held their own as buyers find themselves increasingly pushed to that segment of the market by soaring house prices. Condo sales were up 9.7 per cent in the 416 region and the average price hit $406,792, up 4.2 per cent. 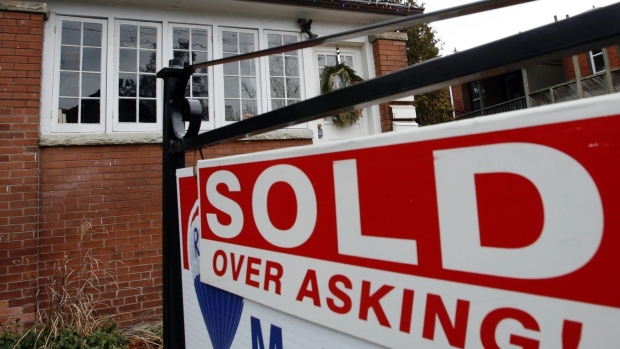 Sales in the 905 suburbs were up 9.7 per cent, as well. The average sale price climbed to $318,317, up 3 per cent. Condo research firm Urbanation reported Thursday that the sales of new condos were down 13 in the third quarter of 2015 as Toronto's unprecedented condo boom continues to slide from its peak and return to more historic norms. Some 4,031 pre-construction condos sold from July to September as sales slow to more historic averages that are expected top out at about 20,000 new unit sales for 2015. The average square foot cost of a new condo that has yet to be built now averages $569 per square foot, says Urbanation. That compares to $457 per square foot for existing resale condos."